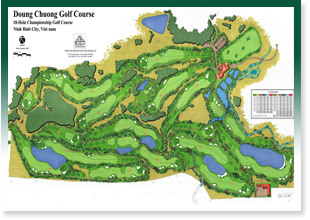 Rathert International Golf Design, Inc. is dedicated to providing clients with not only design creativity, but the most professional service imaginable. I pride myself in developing long term working relationships with all participants in the construction of a new course, always acting in good faith. Cooperation and design flexibility are the essential elements necessary to implement a successful design project. Progression — The sequence of holes and associated shot values. Shot Value — The variety of shots required, lengths and targets. Balance — The equality a nd distribution of par. Asthetics — The player's impression of the look and feel of the golf course. Memorability — A challenging, sound, fair and fun test of shot-making, rich in visual qualities to make each hole different from one another. Flexibility — The variation in hole length to accommodate the abilities of any golfer. 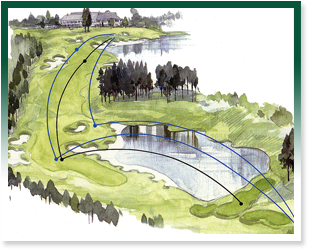 Fairness — The type, placement and severity of hazards to offer the golfer sufficient risk & reward values. Playability — As measured by player acceptance and repeat play. Tournament qualities — Consideration as to the nature of competitions that may be held on the course, match versus medal play. Also the accessibility and flow of galleries. Competitive endurance — My courses are designed for the long haul and are ready to handle changes in nature and technology. Construction planning — The projected total cost which includes consideration of problems and possible site limitations. Residential Housing / Commercial — An evaluation of adjacent property potential. 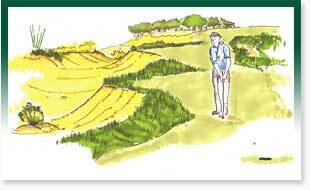 Safety — Consideration of safety to golfers and adjacent land users. 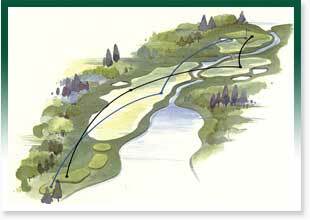 Flow — The overall movement of golfers and traffic patterns on the course, as well as the impact of maintenance on course preparedness and play. Profitability — Return of investment for developer and/or taxpayers. The above elements are ensured by the preparation of detailed construction documentation and specifications that enables selected contractors to submit competitive bids for the project without adding additional cost for unknown or unclear items of work. 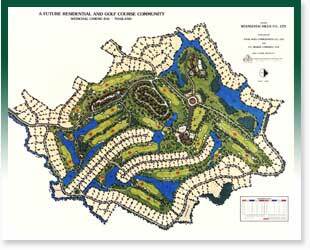 The goal for each project I undertake is to develop a unique and memorable golfing experience for all players at a cost which is sustainable.